happy halloween! i hope you are having a wonderful day, filled with lots of fun and bunches of candy!!! p.s. 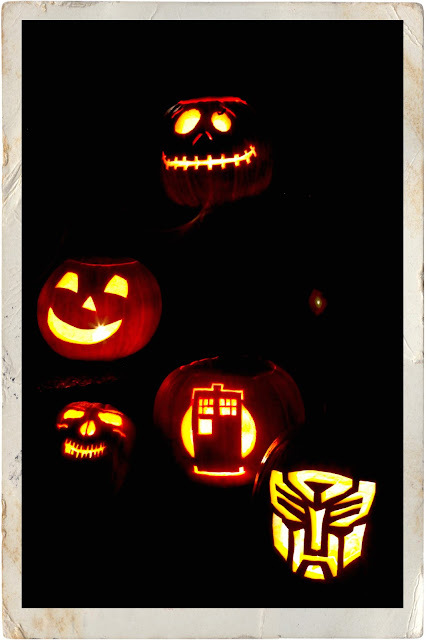 this is a pic of our pumpkins and i know it might be hard to tell because a) it's a pumpkin and b) you might not be as big a geek as me, but that one in the middle is a tardis. i love doctor who!! !